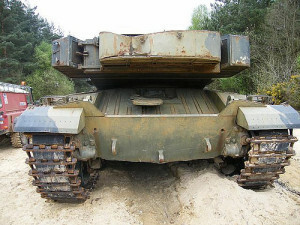 The British FV4030/4 Challenger 1 Tank was the first Main Battle Tank to enter British Army service fitted with the revolutionary Chobham composite armor. 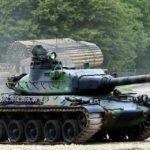 It made the headlines in the UK due to its poor performance in the NATO Gunnery competition called the CAT shoot in 1987. 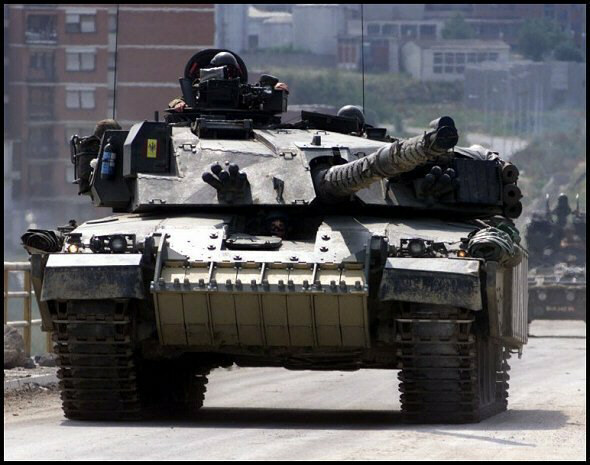 During the 1990-91 Gulf War it set a new World Record when a Challenger 1 Tank of the Royal Scots Dragoon Guards scored a hit against another tank at 4.1 km (2.54 miles). 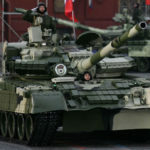 The Iraqi tank was a Russian-made T-55. 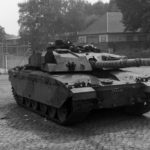 Deliveries of the first 420 Challenger 1 to the British Army started in March 1983 and served alongside both the Chieftain and its replacement the Challenger 2 until 2000 when it was finally withdrawn from service. 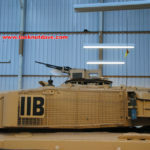 Iran had been the biggest importer of British Chieftain Main Battle Tanks. Though satisfied with the tanks firepower it was dissatisfied with the its troublesome L60 multi-fuelled engine. 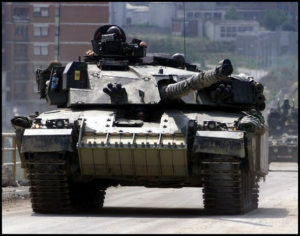 Iran commissioned the UK to develop a new Main Battle Tank. It was known as the FV4030/1 in the UK and would be known in Iran as the Shir-2 if it had entered service. 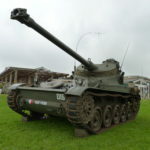 It featured a new turret mounted on a converted Chieftain hull. During the 1970’s work had started on planning for an eventual replacement of the Chieftain for the British Army. 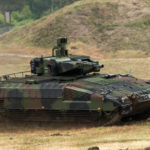 A number of indigenous and joint projects were started, which included the joint German FMBT program, the FV4211 “Aluminium Chieftain” and the MBT80, all of which bore no fruits for their labour in a suitable replacement capable of using Chobham armor. In 1979 the Pahlavi dynasty, the ruling family of Iran were overthrown in what is now called the Iranian Revolution. 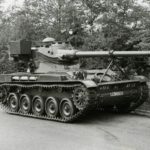 This resulted in the cancellation of the FV4030/1 order, which was almost ready to enter production at the Royal Ordinance Factory in Leeds (ROF Leeds). 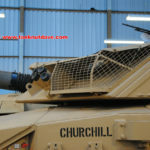 Capable of being fitted with Chobham armor and the readiness for production, the British Army ordered a total of 420 modified FV4030/1 with Chobham armor under the designation FV4030/4 “Challenger” from Vickers Defence Systems. 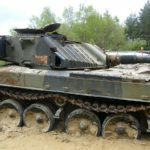 During the 1960’s a new pioneering type of armor now known as ‘Chobham’ had been developed by a Dr Gilbert Harvey at the formerly known ‘Fighting Vehicles Research and Development Establishment’ in Chobham, Surrey. 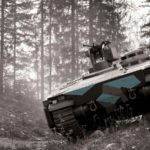 Chobham is a composite armor, which is best described as a composition of hardened or dense materials, refered to as ceramics, which are bonded together and can give greater sustained protection than other armor types. 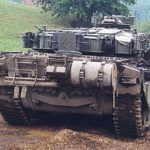 What was pioneering about Chobham armor was not just the ceramic composition, but rather the bonding process used in its creation and the matrix the composition was fitted in. Chobham Armor was fitted across the upper glacis plate of the hull and turret front. 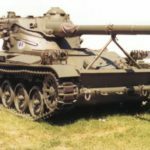 During War Time the Challenger 1 was up-armored to Level 2, which saw a backing board mounted along the hulls sides and modules of either ceramics or Chobham inserted attached to it as well as a frame across the lower glacis plate with Explosive Reactive Armor. The Challenger 1 was in arguably the most heavily armored tank of the Gulf War and amongst its NATO Allies. 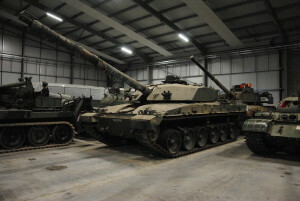 Whilst other NATO countries had started to employee a 120mm Smoothbore main gun, the Challenger 1 retained the same L11 series (L11A5) 120mm calibre Length 55 main gun from the earlier Chieftain Main Battle Tank series. The L11 could be elevated -10 to +20 degree’s. The L11 series used a 2 part ammunition, though some consider it as 3 part. The first part is the projectile. These were commonly the L23A1 armour-piercing fin-stabilized discarding sabot (APFSDS) or L26A1 aka CHARM1, which had a Depleted Uranium tip, L31 high explosive squash head (HESH) and L34 Smoke round. The second part is the charge. When firing APFSDS an orange cylindrical Combustible Case Charge was used. When firing HESH, a white satchel charge was used, which had less charge than a CCC. This was because HESH required a lower m/v so that the “pat” formed properly when striking an enemy vehicle. The often considered third part was Vent Tube Electrical. Most tank guns worked like hand-held guns in that a mechanical pin struck the fuse at the bottom of the 1 part round to sit of the charge. The L11 did away with this and used an electrical charge from the VTE. The system was also considered more reliable. The 2 part ammunition offered a number of advantages over 1 part ammunition was all encased in a brass shell. It was smaller, therefore easier to handle by the loader. It was safer to store, as HESH and the charges could be kept below the turret ring and the AP projectiles stored in the rear of the turret bustle. Its reduced size mean’t more rounds could be carried. 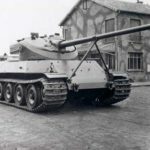 The Challenger 1 used an Improved Fire Control System (Improved compared to Chieftain) consisted of a Laser Range Finder, muzzle reference system and wind sensor, which were all connected to the computer that made the necessary adjustments to the main gun before firing. 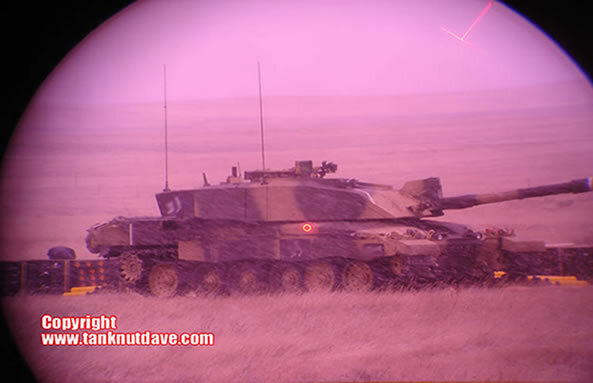 Thermal Observation and Gunnery System aka TOGS was added to the Challenger 1 Mk2 allowing the vehicle to effectively detect and engage the enemy at night-time. 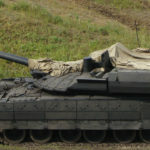 The Challenger 1 offered improved mobility over the older Chieftain. Fitted with a 1200hp Perkins Condor, the vehicle also featured Hydrogas suspension. It uses a nitrogen springing medium, which is approximately six times more flexible than conventional steel as used in Torsion Bar suspension. 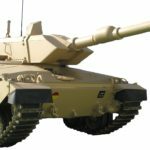 This allows the Challenger 1 to maintain a relatively high-speed as the nitrogen springing easily absorbs irregularities in the terrain it crosses in comparison to Torsion Bar. 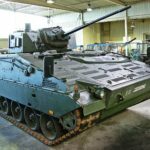 CRARRV: The Challenger Armoured Repair and Recovery Vehicle is an armoured recovery vehicle based on the Challenger 1 hull and designed to repair and recover damaged tanks on the battlefield. 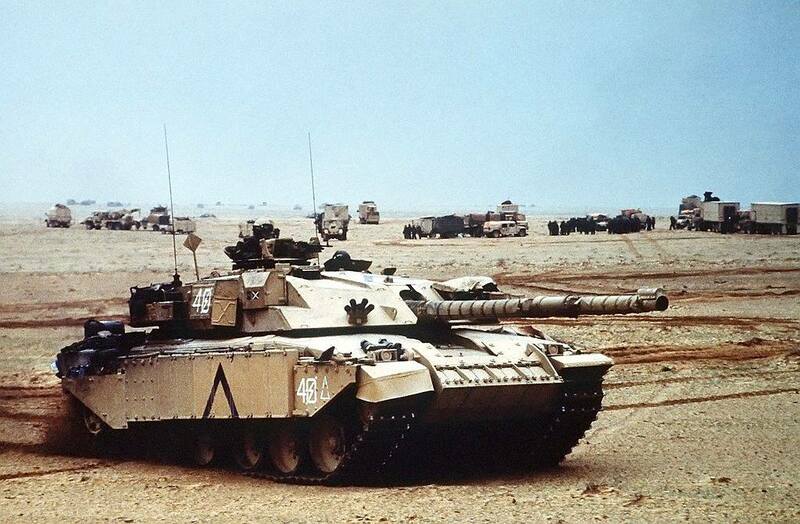 The Gulf War 1991 – Deployed with British Forces, the Challenger 1 was up-armored with additional modular armor along the hull sides and a distinct wedge shaped nose was also fitted across the lower hull plate. 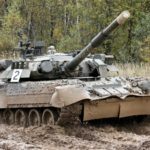 Hundreds of Iraqi operated Russian and Chinese tanks as well as other armored fighting vehicles were destroyed by the Challenger 1 with out a single loss. 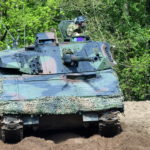 IFOR 1996 – Deployed as part of the Implementation Force (IFOR), which was a NATO-led multinational peace enforcement force in Bosnia and Herzegovina after the Bosnia War. 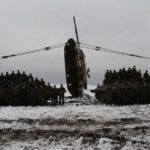 KFOR 1999 – Deployed as part of the Kosovo Force (KFOR), which was a NATO-led multinational peacekeeping force which was responsible for establishing a secure environment in Kosovo. 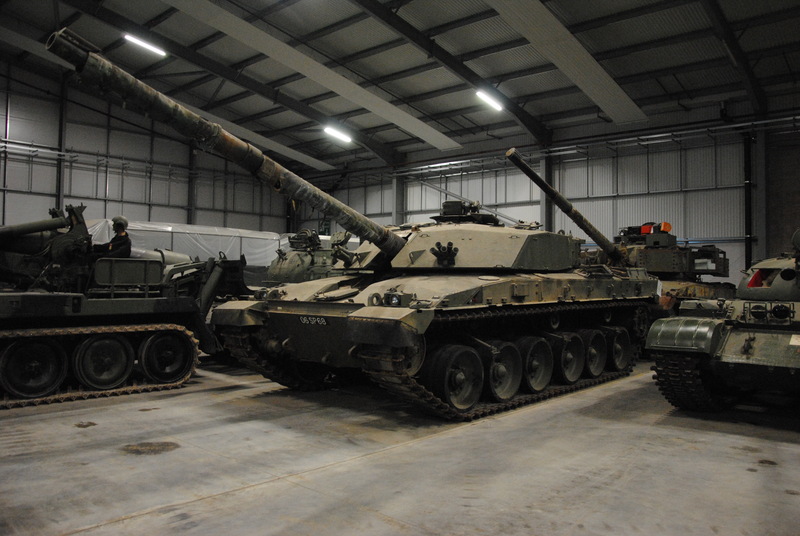 UK (Former): 420 were delivered to the British Army from 1983 to supplement the Chieftain Tanks in service. They were finally withdrawn from service in 2000. 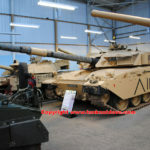 A large portion of these were passed on to Jordan, but some remain in museum collections such as Bovington and Duxford. 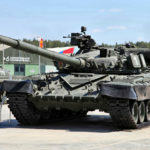 One is in private ownership and another as a gate guard at Bovington Camp, whilst others are used for training exercises in tank recovery. 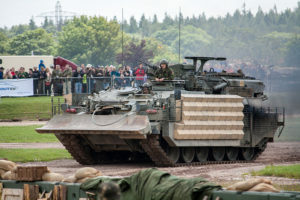 The British Army still operates the CRAAV (75 were built for the UK) in support of the Challenger 2. 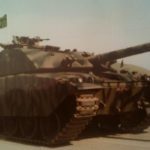 Jordan (Current): 392 surplus Challenger 1 were supplied and are in service with the Jordanian Army. 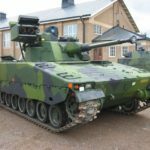 Known as the Al-Hussein, attempts to upgrade the vehicle with an unmanned turret called “Falcon” have been dropped whilst other upgrades have been trialled such as the fitting of a 120mm smoothbore main gun and added armor.